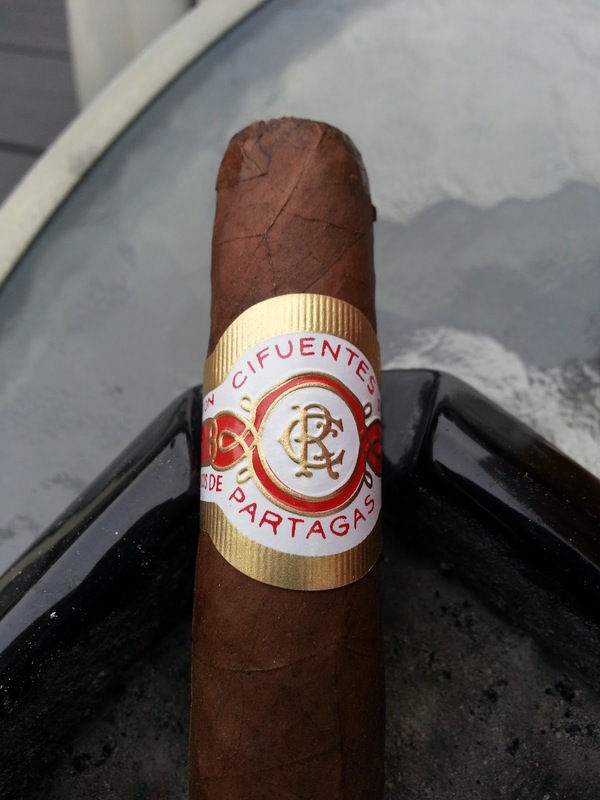 Appearance (0-20): Not the prettiest stick in the world, the Cifuentes has quite a few larger veins across it. The tobacco does look well cured though, and the label is simple but conveys the name well with use of gold, white, and red. I can’t help but wonder how this is going to turn out, given its mediocre look. 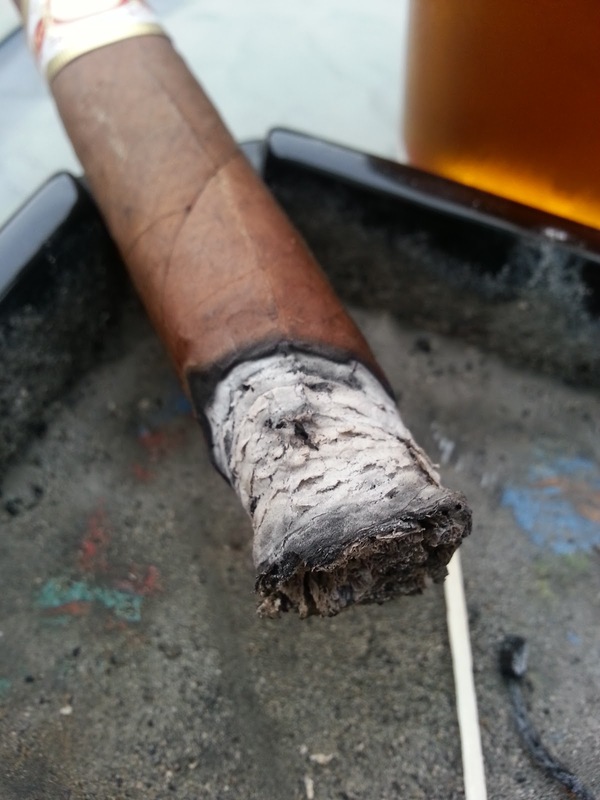 Construction (0-20): The veins, of course, are a bit of a concern, and when looking at the top of the cigar, it seems some of it has become unwrapped slightly. The tobacco on the foot also sticks out slightly beyond the wrapper – not a huge deal, but odd when this isn’t a shaggy foot cigar. The initial feel is decent but there are some small pockets that feel a little less pressed than they should be. On the positive side it cut easily and with little debris, lit up well, and the ash (though slightly flaky on the end) held well despite an uneven burn. Strength (0-20): Medium to full. Strikes nearly the perfect balance in the range, not particularly teetering either way too much. Flavor (0-20): I think I was a little taken aback by this blend, as immediately it came off extremely smooth with some nice earthy flavors and a hint of pepper on the back end. There was some cream that mixed in at about the halfway point, with additional wood flavors. All in all… it was an enjoyable smoke. Value (0-20): A $4.50 price isnt bad, but as you buy more (a box for example) the price comes down steadily and tops off around $3.50 per stick. Additional Notes: Smoked on my deck and paired with a delicious Centennial IPA from the Cape May Brewing Company out of Cape May, NJ. Overall (0-100): While the look of this would lead you to believe it’s a mediocre cigar at best, it turned out to be pretty decent. 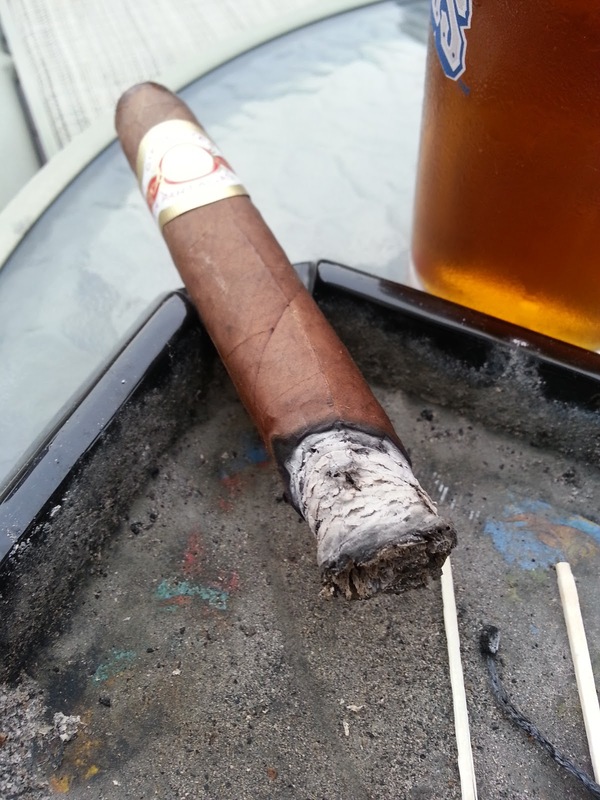 The Cifuentes has a small amount of kick to compliment the earthy and woodsy flavors and benefits heavily from being a smooth smoke. 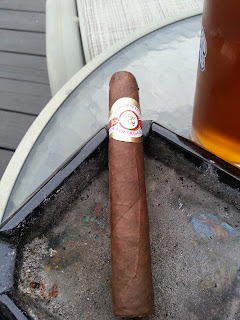 The price point of $4.50 for this isn’t bad, though it wouldn’t crack my top 10 list of great cigars for under $5. However if bought in a box at the price of $3.50 per, it might just sneak on there. If you are looking for a bargain with some decent flavors, I’d pick some of these up and give them a try. 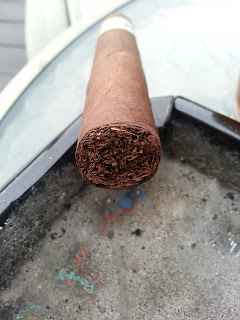 For me it amounts to the perfect second cigar – a little cheaper but with some good flavors. I really enjoy the Partagas Cigars. My very first Cigar I ever smoked was partagas Series 5. very clean﻿ and mild. Partagas puts out some solid stuff overall. The Series 5 is one i cant say ive ever tried, but given the quality ive seen come from partagas, i would at least give it a whirl.